EMF » Diagnostic Workup for Suspected Subarachnoid Haemorrhage. Emergency Medicine Foundation > Projects > Queensland > Diagnostic Workup for Suspected Subarachnoid Haemorrhage. Diagnostic Workup for Suspected Subarachnoid Haemorrhage. Examining the diagnostic approaches for patients presenting to the Emergency Department with a headache. 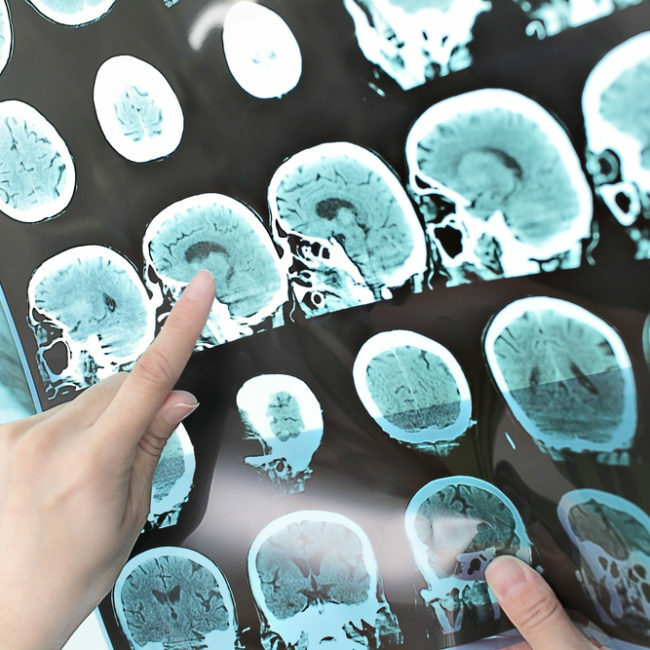 Subarachnoid haemorrhage (SAH) is a type of stroke, which affects about 10 in 100,000 Queenslanders. A patient with SAH usually complains of a sudden onset severe headache. About one in three of these patients die and another one in three survive with a disability. Early diagnosis and treatment is essential. Diagnosis involves a Computed Tomography (CT) scan and a spinal puncture to look for blood in the spinal fluid surrounding the brain. However, these tests are not 100 per cent accurate. However, doctors and patients are concerned about complications from these tests. These include radiation from CT scans and discomfort from spinal punctures. As a result of these concerns, there is variability in what tests are ordered and why they are ordered. An understanding of this variability can assist doctors to develop guidelines and streamline the diagnosis of patients with suspected SAH. This project consists of a series of three studies including a one month snapshot of patients presenting to the Emergency Department (ED) across Queensland complaining of a headache, a series of one-on-one interviews with a group of ED specialists at the Royal Brisbane Women’s Hospital and an examination of the accuracy of tests to look for blood in the spinal fluid obtained from a spinal puncture. The results of these studies will help plan the diagnostic workup of patients with suspected SAH. In the headache snapshot, the team found that of the 860 patients presenting 950 times to the ED with a headache, only 18 (3.1%) had SAH, including 13 aneurysmal, Intra cranial haemorrhage and bacterial meningitis. However 38% had a CT scan as part of the diagnostic process. The primary finding of this research project was that there are no firm clinical guidelines for identifying and managing non-traumatic headaches in the emergency department. The research and the level of engagement with hospitals is likely to lead to better outcomes as the optimum diagnostic workshop for this cohort of patients is determined using this data. This multi-site research is likely to have a flow-on effect in terms of care for patients with suspected subarachnoid haemorrhage and diffusion of best practice in assessment and diagnosis among emergency physicians and trainees. - Chu K.H., Howell T.E., Keijzers G., Furyk J.S., Eley R.M., Kinnear F.B., Thom O., Mahmoud I., Brown A.F., "Acute Headache Presentations to the Emergency Department: A Statewide Cross-sectional Study", Acad Emerg Med. 2017 Jan;24(1):53-62. doi: 10.1111/acem.13062. - Chu K.H., Bishop R.O., Brown A.F., "Spectrophotometry, not visual inspection for the detection of xanthochromia in suspected subarachnoid haemorrhage: A debate. ", 'Emerg Med Australas', 2015 Jun;27(3):267-72. doi: 10.1111/1742-6723.12398. - Hann A, Chu K, Greenslade J, Williams J, Brown A. Benefit of cerebrospinal fluid spectrophotometry in the assessment of CT scan negative suspected subarachnoid haemorrhage: A diagnostic accuracy study. J Clin Neurosci. 2015 Jan;22(1):173-9. doi: 10.1016/j.jocn.2014.07.025.